Introducing, the Bicycle Zodiac playing card deck. 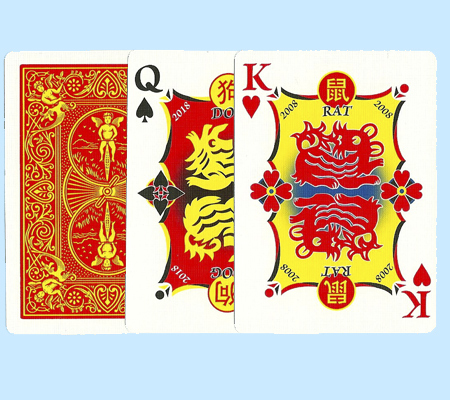 Each deck will display the 12 Chinese Zodiac Characters with customized court cards. For more information or volume pricing on Bicycle Zodiac Playing Cards, please contact us at 1-800-233-0828.